One normally starts thinking about security only when it gets compromised. But the services you normally use put in a lot of effort to keep you and your data secure. Here’s a quick rundown of the steps you need to follow to secure your online presence. 1. TWITTER: Apart from changing your password often, one of the easiest things you can do to secure your Twitter account is to use login verification. Once you sign in to Twitter on a computer, from your profile icon drop down menu, click Settings and then Security & Privacy Settings. Before you can use login verification, you will need to confirm your email ID. You can use the iOS or Android app to complete the process. Once in a while, also head to Twitter’s settings page and click Apps — here, you can check which apps and devices have access to your account. Some may be from a couple of years ago on older devices — you should revoke access to the ones you no longer use or recognise. 2. FACEBOOK: Facebook also offers login verification and alerts but there are a bunch of additional options — for instance, you can set trusted contacts (who can help you get access to your account if you get locked out) and you can see which browsers and apps you’re signed in from. One very useful feature you’ll find in the Security Settings page is ‘where you’ve logged in’. Let’s say you went to a friends place and logged in to Facebook on hisher computer, but forgot to log out when you left. You can use this option to sign out from any devices — just click the link that says ‘End Activity’. If you head to the help page, Facebook also offers a handy wizard-style Security Checkup that will show you old logins, let you sign out with one click, review your alerts and give you password tips. 3. WHATSAPP: WhatsApp already uses end-to-end encryption to secure your chats — no one, not even WhatsApp staff members can read your chats if encryption is on (which it is by default). But a common scenario is losing your phone. Before you realise the loss, a thief will have full access to your WhatsApp account which may include photosvideos, personal information and messages. The thief may also impersonate you to extract money from your contacts. 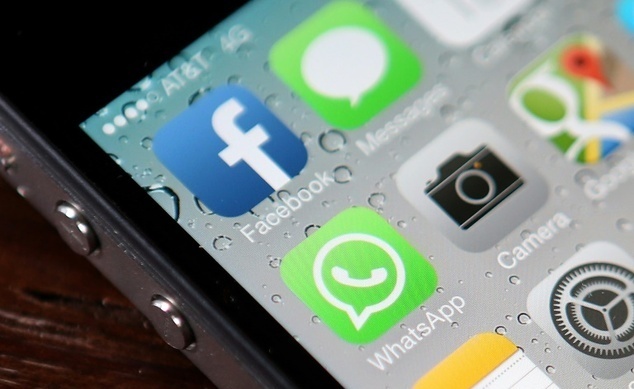 To prevent this, lock WhatsApp with a PIN — you will need third-party apps to do this. In case of theft of phone with an unlocked WhatsApp account, get a new SIM immediately and use it to register with WhatsApp on another device — this will instantly deactivate WhatsApp and the other phone. 4. INSTAGRAM: You might not want everyone in the world to see and comment on your Instagram photos. A simple way to enable this is by making your Instagram account private — this means that only those who follow you can see your photos and new followers will require approval from you. The other security feature you should activate is Manual Photo Tagging. Go to the Instagram profile section and tap on the Photo of You (last icon below your bio) — tap on the menu button on top right and select tagging options. Here you can enable `Add Manually’ — this will prevent you from being tagged in unwanted photos. You have given third-party apps access to your Instagram account. To manage these apps, you will need to login to Instagram on a computer and select ‘Edit Profile’. In the settings page that opens up, you will see Manage Applications section where you can revoke access for unwanted apps. 5. G-MAIL: Securing your Gmail account is fairly simple using Google’s own two-factor authentication feature in your account settings and we highly recommend it. In case you suspect your Gmail account of being accessed by someone else, check your account activity. On the bottom right corner of your inbox, you can see a line that says ‘Last account activity’. Click on details and Gmail will show you the details of your account activity including browser, time and location -if you notice anything out of the ordinary, click ‘sign out of all other web sessions’ on top and change your password. Like social networks, apps and websites also require access to your Google account. To manage these go to ‘https:accounts.google.com’ and click on ‘Connected Sites and apps’ under Security. You can view a list of all connected services here and revoke access to the unwanted ones.